Frankie Chasing Bear is caught between cultures. She wants to raise her son Harold to revere his Lakota heritage, but she also thinks he will need to learn the white man’s ways to succeed. After the untimely death of her husband, Frankie joins the U.S. Government’s Relocation Program and moves to Arizona. There she begins sewing a Lakota Star pattern quilt for Harold with tribal wisdom sung, sewn, and prayed into it. A bed without a quilt is like a sky without stars, but neither the quilt—nor her new life—comes easily to Frankie. Nick Parker, for instance, is the last man Frankie wants to trust. He’s half-Lakota but Christian, and Frankie can see no good coming from that faith after her own parents were forced to convert at an Indian school. Can Nick convince Frankie that white men and Christians aren’t all bad? And will Frankie learn that love is the most important ingredient—for her son’s quilt and life itself? I missed the intro date on this book, but figured it wasn't set newer than the 80's and actually it was set in the 50's. Makes a little more sense if you catch the little details! I wonder how much of it is still accurate to today... Indians being relocated for the government benefit and forcibly removed from their families may not be the same, but the overall treatment of people of color, hasn't changed in some places I know. I definitely appreciated a look at some parts of history and culture that aren't written much about. Most Indian stories are such much farther in the past. So I enjoyed this book, the descriptions of the land in the Southwest, and the feeling of being in Frankie's shoes. If you would like to read the first chapter of A Sky Without Stars, go HERE. 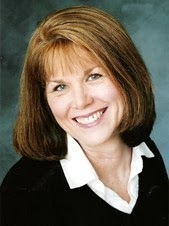 Linda S. Clare is an award-winning author and coauthor of several books and has also published many essays, stories, and poems in publications, including The Christian Reader, The Denver Post, and The Philadelphia Inquirer. 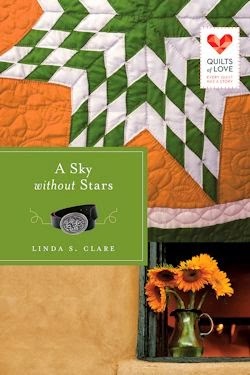 Her most recent book is A Sky without Stars, the newest release in Abingdon’s Quilts of Love line. Born in Arizona, Linda and her husband now make their home in Eugene, Oregon, where Linda has taught college-level creative writing classes, and writes, edits, and mentors other writers. She also is a frequent writing conference presenter, a church retreat leader, and mom to four grown children and five wayward cats.